Is it all about to change? I was getting off Caltrain at Mountain View this morning, playing with the EVO, as usual, when I suddenly noticed the 4G widget somehow switched itself on. I knew we had no 4G around the Bay Area, so I never kept it on. However, there it was. This fact by itself wouldn't have been that exciting had I also not observed the 4G symbol which replaced the 3G one in the notification bar. Holy crap... can it be?.. I quickly fired up the http://speedtest.net site in Dolphin HD, which supports Flash Light, and ran a quick test. 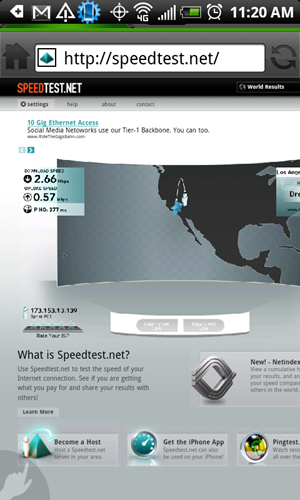 2.66Mbps down... "The site did load unusually fast," I thought. 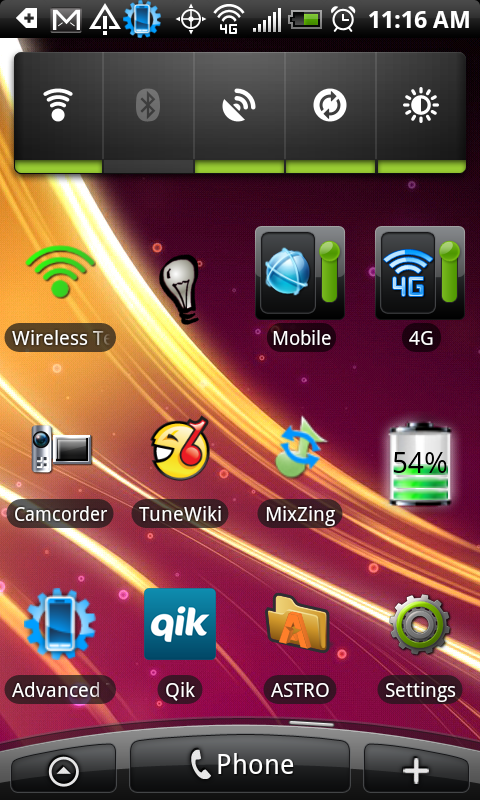 4G is here? 4G is here! 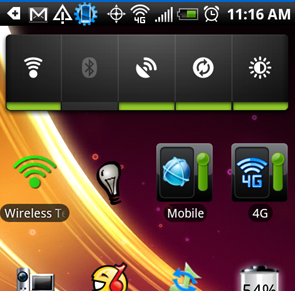 At that point, the icon disappeared and switched back to 3G. Then it re-appeared again and kept jumping in and out every couple of minutes. Something was still unstable, or my signal was weak at that location but the fact remained - 4G was floating in the air. By the time I arrived at the Mountain View office, the only thing left was 3G. However, about 8 hours later, on my way back to San Francisco, I saw the 4G symbol again. It wasn't just a brief test. Not as far as I could tell. Now I need your help in testing this theory out. If you are in the Bay Area, turn your 4G on and report back. Alternatively, if you know anything more official, definitely drop us a line or leave a comment.